Prior to joining the Prince George’s County Economic Development Corporation, Jim Coleman served as Executive Director for Westchester County, NY Industrial Development Agency and Local Development Corporation since being appointed in April 2014. In this position, Coleman was Westchester County’s premier business advocate and deal maker. Within one year of his appointment, Coleman infused nearly $1 billion in financing and tax incentives into the market, enabling Westchester’s Industrial Development Agency and Local Development Corporation to carry out their strategic missions and to create over 4,700 jobs for Westchester’s residents. Coleman’s successes included closing a $100 million deal within 30 days to enable Pace University to build two new dormitories and to renovate several other facilities, making Pace more attractive and competitive in attracting the best and brightest students to Westchester. Coleman also boosted Westchester’s hospital infrastructure by pumping over $250 million in tax exempt bond financing into three construction projects at White Plains Hospital, Northern Westchester Hospital and Phelps Memorial Hospital. Additionally, Coleman developed and facilitated over 100 training programs and workshops for Westchester’s small businesses to help them secure contracts, customers and capital. He also spearheaded Astorino’s Bridge to Success Forum Tour, inspiring hundreds of Westchester business owners and residents to launch and expand their businesses. Prior to his role in Westchester County, Coleman delivered stellar results over the last 32 years with Oscar Mayer & Co., Pepsi Cola Company, Altria Corporation, American Express, several entrepreneurial ventures, and the New York State Senate. 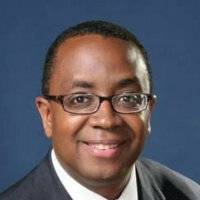 Coleman is a 1983 graduate of Howard University with a B.A. Degree in Economics. Coleman is a certified management training facilitator in Development Dimensions International and Skill Path management and development training programs and a 2014 graduate of World Wide College of Auctioneering.